I just finished this beautiful tale on modern love and it’s definitely one to add on your list! Many writers I love have recommended it, such as Emma Gannon, Pandora Sykes and Daisy Buchanan. The book is about three women, Grace, Violet and Annie, and their inter-linking love stories. It was written as part of a project from the publisher to discover new under-represented voices. In this case, the story touches on relationships, both homosexual and heterosexual ones. It’s deeply moving and universal with themes such as heartbreak, friendship and mental health. I loved the unconventional structure with unique chapter titles and division. It was also great that in some way, these women were all supporting one another and being there for the people around them. It felt very real and you could relate with the feelings of both despair and joy that the characters were experiencing. I am excited to discover more of Emma Morgan’s writing in the future. 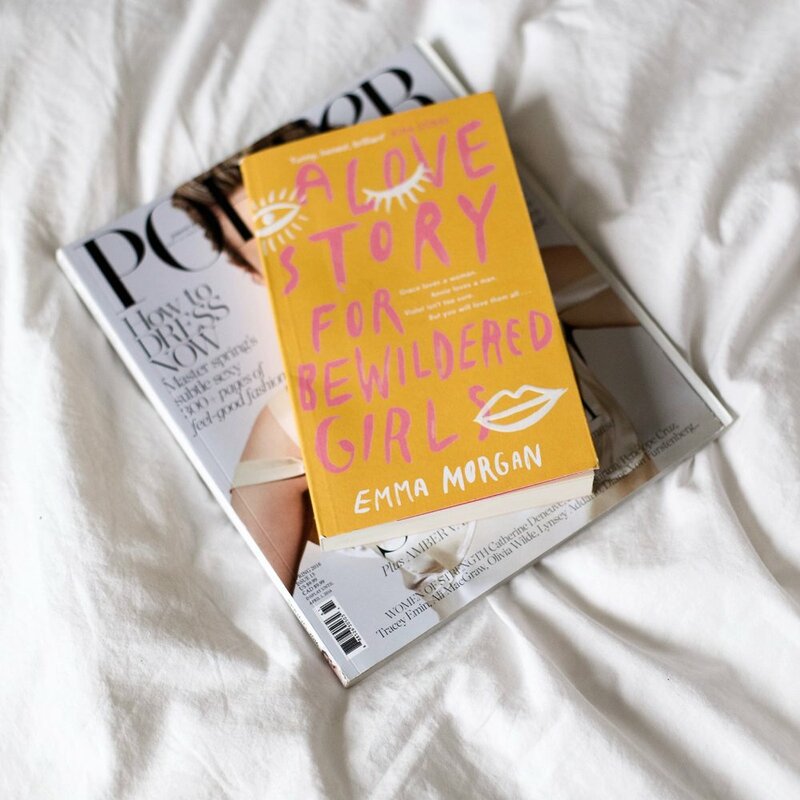 A Love Story For Bewildered Girls is one for the hopeless romantics out there! Valentine’s Day is approaching and what better way to put you in the mood than to read a lighthearted romantic comedy? This novel is quite unique because it takes place in Toronto and you really get a sense of the dynamic pace of the city. Raina, the protagonist, is about to turn thirty, and her grandmother has for mission to find her a husband despite her protests. She has to go through a series of blind dates to ultimately figure out what she wants. The novel is about Raina’s complex relationship with her Indian heritage, the idea of arranged marriage, but also her desire to live a more modern lifestyle. It’s an adorable story on two cultures coming together and a search for identity. I devoured it over the Christmas break and would recommend it for lovers of rom coms! It’s a quick read but one that will linger with you for a while longer. By now you must have heard the name Sally Rooney. This young Irish writer has shaken the literary world with her two novels Normal People (it was longlisted for the 2018 Man Booker prize) and Conversation With Friends. As you know, I devoured her books, and eventually… I needed more! This is why I was super excited to discover that she had realized a pocket short story at the beginning of the year. By short, I mean really short, only about 30 pages. However, within a few pages, she catches your attention and completely wraps you up in her universe. The interaction between the characters reminded me of Marianne and Connell, the two characters in Normal People. It’s brilliant, but I don’t want to say more because I would definitely spoil it. This one is for Rooney’s die hard fans!